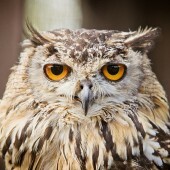 An Owl’s daily activity begins with preening, stretching, yawning and combing its head with its claws. 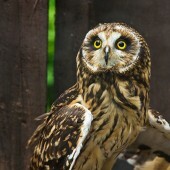 The plumage is often ruffled up, and claws and toes are cleaned by nibbling with the beak. 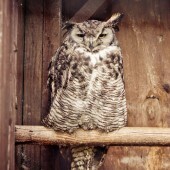 The Owl will then leave its roost, sometimes giving a call (especially in breeding season). 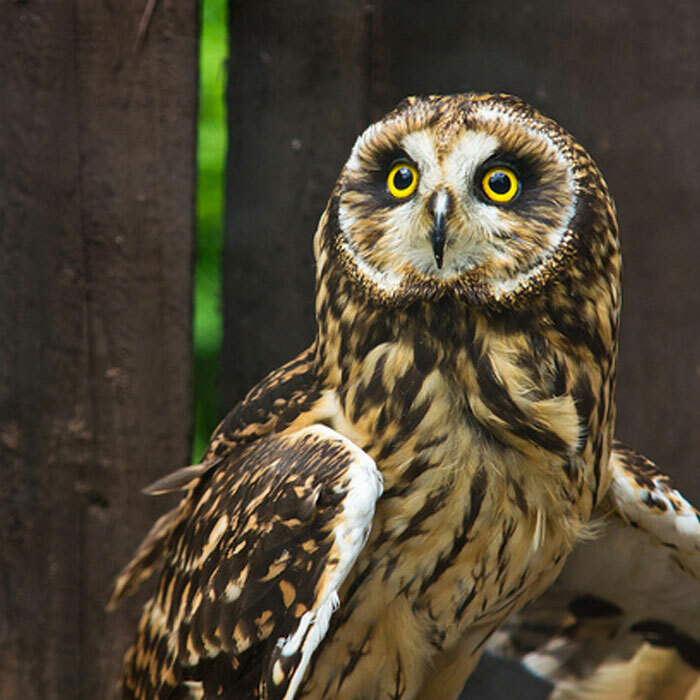 Owls have a very expressive body language. Many species will bob and weave their head, as if curious about something – this is in fact to further improve their three-dimensional concept of what they are viewing. 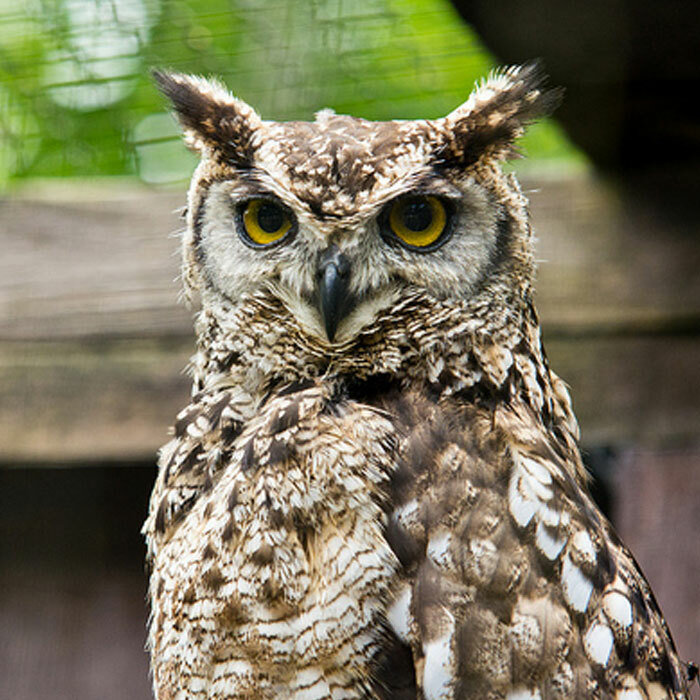 When protecting young or defending itself, an Owl may assume a “threat” or defensive posture, with feathers ruffled to increase apparent size. The head may be lowered, and wings spread out and pointing down. Some species become quite aggressive when nesting, and have been known to attack humans. 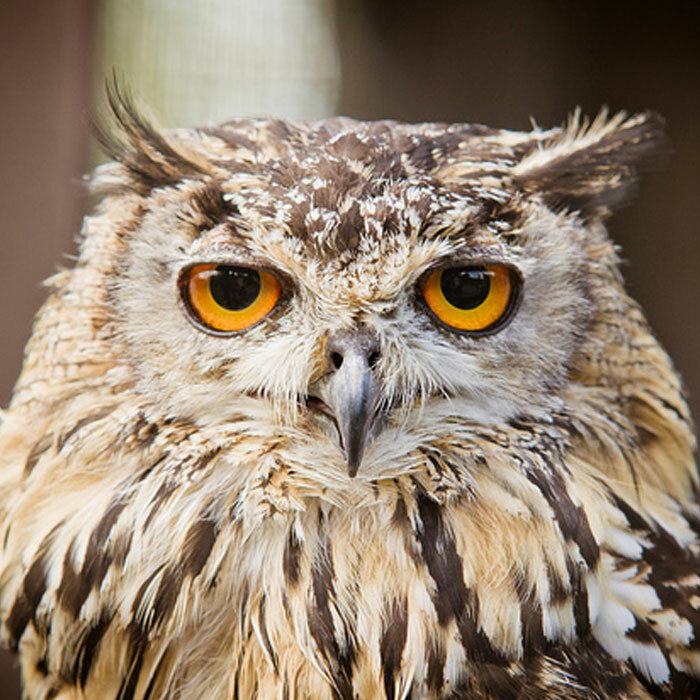 Owls have a very wide range of vocalisations, ranging from the hoots so often associated with Owls, to whistles, screeches, screams, purrs, snorts, chitters and hisses. 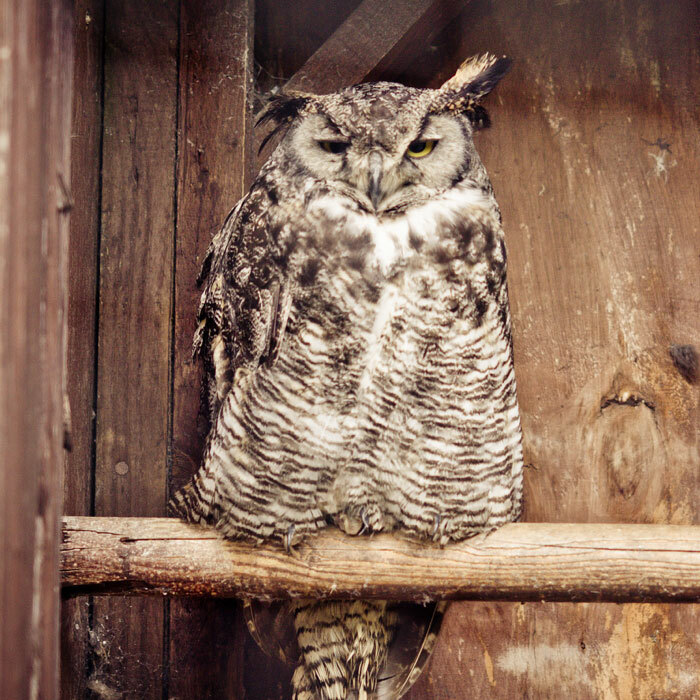 Hooting is often territorial, and is also associated with courting, the male usually having the lower pitched Hoot. 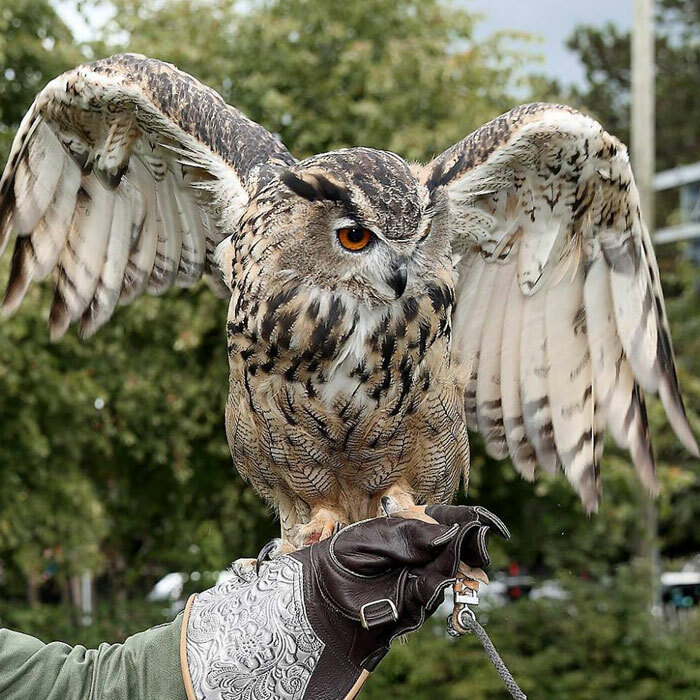 It should be noted that not all Owl species Hoot. 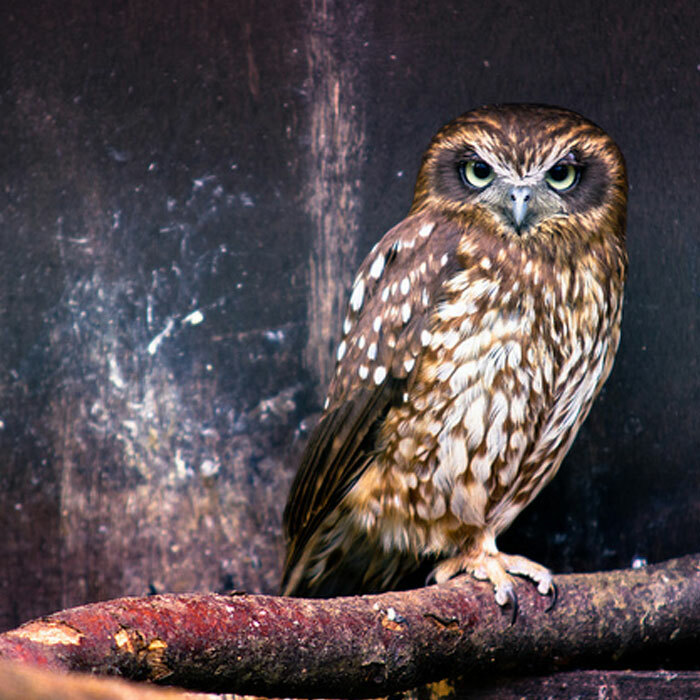 Because Owls are predators, they are feared by many birds. 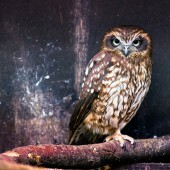 For this reason, they are often attacked or harassed by groups of smaller birds. This is not limited to one species, as once the attack begins, many different birds will join in. 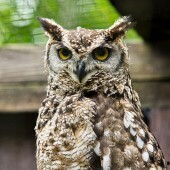 Owls are generally resident birds. Some Northern populations of certain species may escape harsh winters by moving south.